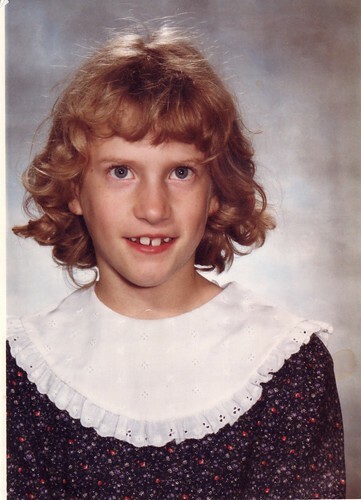 I think this photo is from the third grade. I'm guessing from the state of my chiclet teeth. They are the teeth of an eight-year-old. Apparently the photographer was in a rush, and centering was one of those things that just seemed like too much trouble.